February 6, 1911 -- The Chipperfield legislative commission on submerged lands reports that land estimated to be worth at least $250,000,000 has been "grabbed" from the public by private interests. The report identified 420 individuals, corporations, and private clubs that occupied "made" land -- land that was created by fill or natural causes -- along the coastline of the city and the banks of the Chicago River. The Illinois Central railroad was charged with illegally occupying 400 acres while the Chicago Dock and Canal company was accused of holding 60 acres of poached land. The report was especially harsh on the I. C., asserting "It is a history which reads like a romance, as to how the Illinois Central, starting in with a strip of 200 feet in width from the city limits northward, has continued to grasp and extend until now substantially 400 acres of the most valuable lands in the city of Chicago are in its possession." 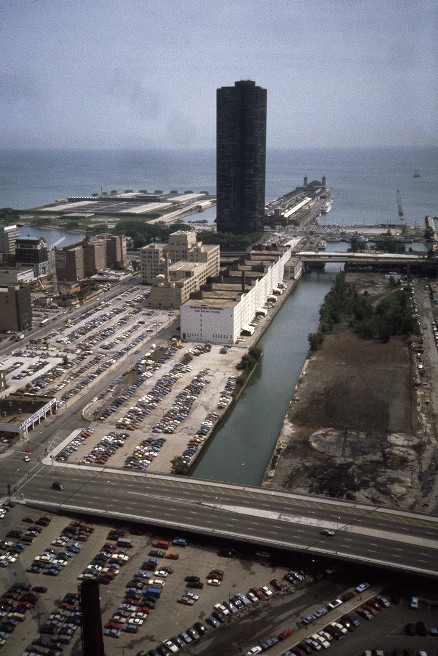 Pictured below, today's Ogden Slip, loaded with upscale high rises, was one such piece of created land. Abraham Lincoln was paid $350.00 to draft the paperwork that created the Chicago Dock and Canal Company, which built it. The top picture was taken in 1985. The photo below that sows how the area continues to evolve. 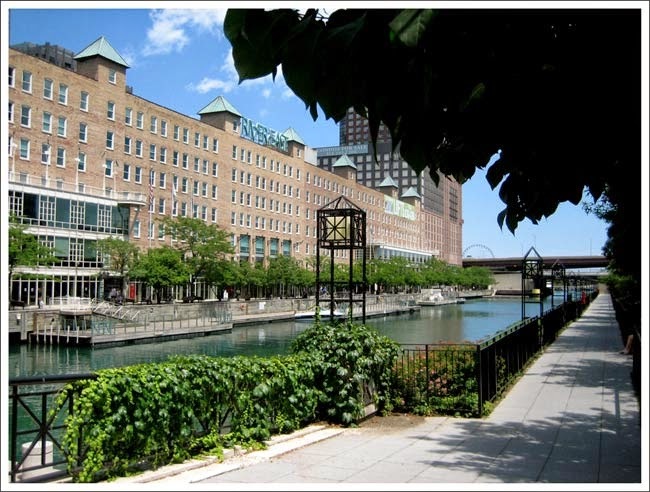 When Fort Dearborn was erected on the edge of the lake back in 1803 this entire area was under water.